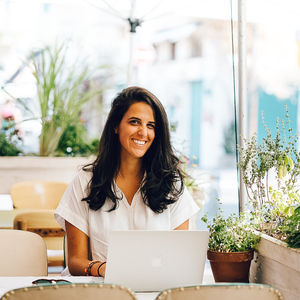 Wellspring Nutrition is a health and wellness website and private practice nutrition coaching business run by Anabelle Harari, MS in Nutrition and soon to be Registered Dietitian Nutritionist. Wellspring promotes an approachable way to understanding nutrition, focused on whole plant foods, mindful and intuitive eating, and of course fun. Good eats, less stress, feeling amazing = this is the Wellspring motto. A social media follow on Instagram (@wellspring_nutrition) or Facebook @WellspringNutritionCo would be awesome!